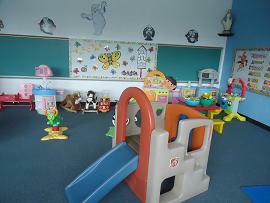 Our Mommy & Me program runs from September through May. Children ages 12 months to 2 ½ years of age with their moms or caretakers meet once a week so they can interact with other children and parents. 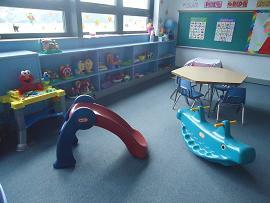 Our classrooms are equipped with a sand table, climbers, playhouses, slides, trucks, a kitchen area and a tool area. We sing songs, learn finger plays, make a weekly craft, enjoy parachute time and even check out our own book from our mini school library. 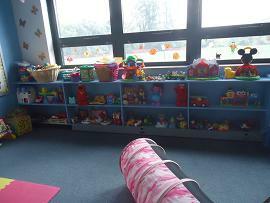 We develop gross motor skills while having fun in both our toddler gym and big gym. We celebrate all holidays with a classroom party. The children are also welcome to celebrate their birthday at school. 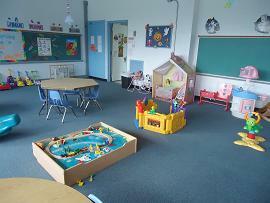 This program is a great introduction to school in a relaxed, fun atmosphere!